A picnic in the park on a summer afternoon is everything you could want to absorb all the city has to offer—when it’s that time between day and night, when everyone takes a moment and the hum slowly dissipates, the scramble becomes order and the people finally stop to breathe and watch the sunset as the day comes to a close. This is the time to relax, before nightfall, when the party starts. This is also the perfect time to host a tea party. 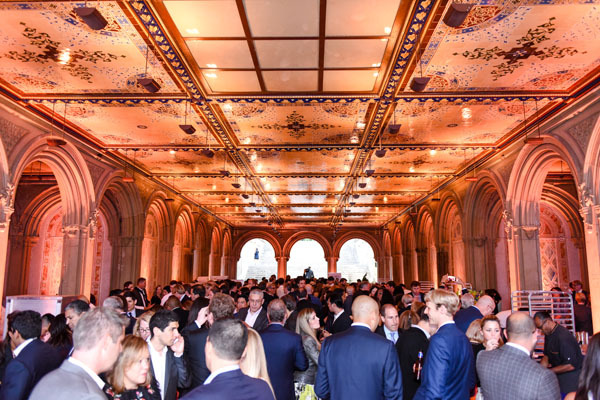 On Wednesday June 7, Central Park hosted a luxurious party where over 800 New Yorkers enjoyed a feast under the moon light at the Bethesda Terrace in Central Park to support Central Park Conservancy’s annual summer benefit. This year the conservancy raised over $800,000 to maintain Manhattan’s favorite backyard. 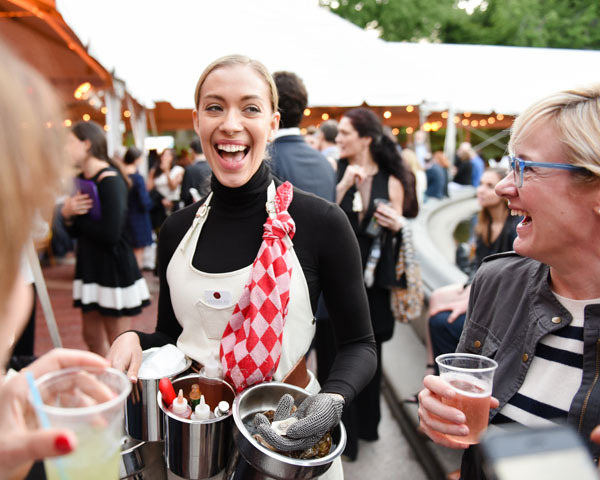 As the sun set over the famous Angel of the Waters statue atop the picturesque fountain, guests enjoyed tastings prepared by celebrated NYC chefs and restaurants, sipped inventive cocktails, and danced the night away to music by DJ Kiss. The event was presented by Macquarie. Charlotte Dewey, Anna Harrison, Amanda Roberts at The Taste Cafe. 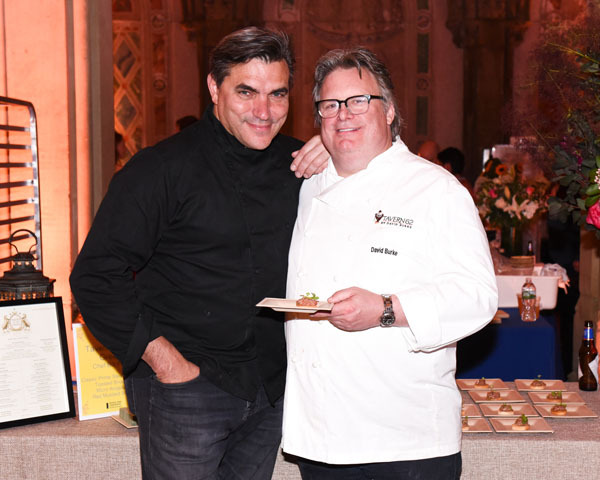 Attendees were treated to delights from famed chefs Todd English, of The Plaza’s Todd English Food Hall, and David Burke, of Tavern 62. Both chefs were on hand to personally serve popular and summery dishes from their restaurants, to compliment the current season. The Plaza served as this year’s Taste Café host. Offerings from the Food Hall included Doughnuttery, Lady M Cake Boutique, Luke’s Lobster, Ora Di Pasta, Palm Court at The Plaza, Pizza Rollio, and Sabi Sushi. 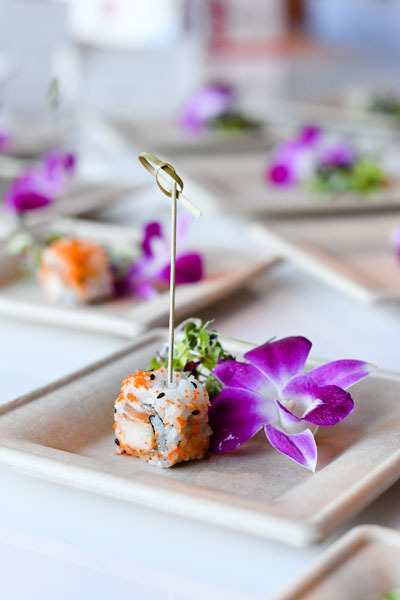 Deliciously superb tastings were prepared by over 35 acclaimed restaurants across the city, for guests to indulge in. Additional restaurants that served savory bites under the Minton tiles in Bethesda Terrace Arcade included: Amali, Auden Bistro, Benoit New York, Bevy, Casa Lever, Felice, ilili Restaurant, Kappo Masa, Kingsley, The Leopard at des Artistes, The Loeb Boathouse Central Park, Loi Estiatorio, Maccioni Restaurants, Maya, The Milling Room, Pampano Restaurant, Petrossian Caviar, Porter House Bar and Grill, Ristorante Morini, Root & Bone, Rotisserie Georgette, Sant Ambroeus, Sauvage, The Smith, Southgate Bar & Restaurant, Tavern on the Green, Tavern62 by David Burke, Thalassa Restaurant, and Toloache 82. Guests enjoyed Rhubarb and Foie Gras Macarons served by Bevy. Those with a sweet tooth indulged in a variety of treats from Bridgewater Chocolate, Canard, Inc., Serendipity 3, and Society Café. Shake Shack delighted guests with its Shake-Speare Shake, a hand-spun strawberry and rosé shake, topped with fairy dust sprinkles. Fresh summer cocktails were served, along with wine from 90+ Cellars, beer from Brooklyn Brewery, and coffee from Illy Caffé. Event designer Bryan Rafanelli of Rafanelli Events set the tone for the evening with a picnic in the park theme. The chic, playful summery décor had an Americana aesthetic that highlighted the surrounding beauty of Central Park. 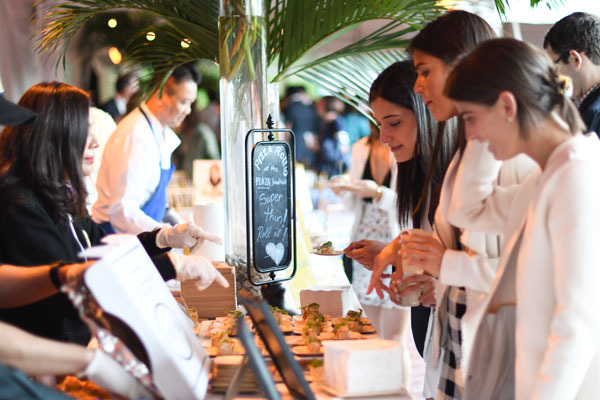 In addition to sampling all of the savory and sweet offerings, guests had a chance to bid on items in the luxury-filled silent auction which included a conservation safari in Tanzania, a 3-night stay at The Ranch at Rock Creek in Montana, and a Gold Card Experience at Per Se, among several other great packages. Attendees included, Tracy Pollen & Michael J. Fox, James & Merryl Tisch, Suzy & Jack Welch, Judy Angelo, Kelly Coffey, Patti Fast, Dan Garodnick, Anne Harrison, Sharon & Bill Jacob, Thomas Kempner, Jr. & Katheryn C. Patterson, Kim Klimczak, Sarah Kurita, Michelle Marra, Maureen Mulheren, Elyse & Michael Newhouse, Mark Newhouse, Donald Newhouse, Liz & Jeffrey Peek, Elizabeth & Christian Pompa, Jon Stossel, Kristen & Michael Swenson, and Amy & Jeff Tarr, who all enjoyed inventive cocktails, a luxury-filled auction, dancing and music by DJ Kiss, surrounded by the chic, playful and summery décor designed by Bryan Rafanelli of Rafanelli Events. Kelly & Joe Coffey, Kristy & Jonathan Korngold, Carol Sutton Lewis & William M. Lewis, Jr., Laurie & Jay Mandelbaum, Gillian & Sylvester Miniter, and Melissa Vail & Norman C. Selby, served as this year’s Event Chairmen.